We’ll save our usual procrastinating joke because this road and rail wrap is short and sweet – so you’ll have to find another excuse not to do any work today. Our excuse? It’s December. This week, Avis Australia announced the expansion of its Signature Series range with the launch of Luxury Utes. 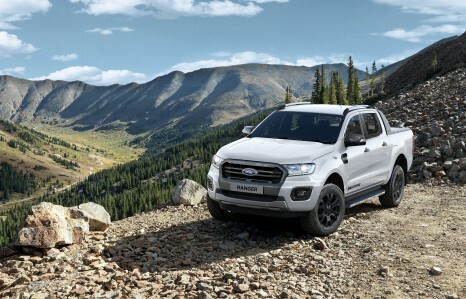 Continuing to transform the rental journey into a premium experience for consumers, the luxury car hire service now includes premium pickup trucks with the introduction of the Toyota Hilux SR5 4X4 Auto Diesel and Ford Ranger Wildtrak 4X4 Auto Diesel. A first for Avis Australia, the introduction of the Luxury Utes continues to meet consumer demands by offering vehicles that have seen an increase in popularity within the market. Year-to-date sales charts shows the Toyota Hilux is the biggest selling vehicle in Australia, closely followed by the Ford Ranger, making them the ideal models to include in the Signature Series fleet. Train lovers will now have the opportunity to enjoy a super luxurious experience on board the brand new Excellence Class of Switzerland’s Glacier Express, the world’s slowest express train. Already one of the most exclusive rail experiences in Switzerland and around the world where passengers travel across 291 bridges and through 91 tunnels on an eight-hour journey between St. Moritz and Zermatt, the Excellence Class was created in response to the many passengers’ requests for a top class luxury offering in terms of experience, service and quality. The result of this project, which began in 2016, is two brand new 20-seater coaches boasting an incredibly lavish design concept and service that will now be a permanent addition to the Glacier Express. 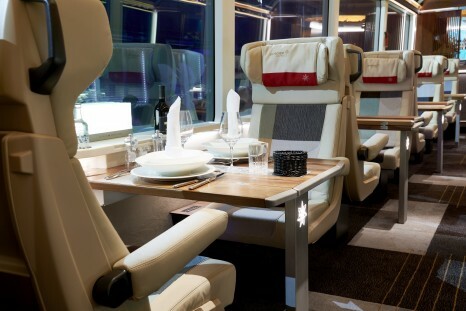 Available for booking from December, the Glacier Express’ new Excellence Class promises passengers the highest level of comfort, guaranteed window seats, more space and a dedicated bar – the Glacier Bar. Due to popular demand, DriveAway is thrilled to re-launch motorcycle hire in the USA with the world’s largest motorcycle tourism company EagleRider. With over 50 locations across the United States, EagleRider offers major brands including Harley Davidson, BMW, Honda, Indian, Yamaha and Triumph. With such a large range of motorcycles to choose from, DriveAway can assist you in choosing the perfect motorcycle for any riding skill, needs and budget. Statistics show that 1 in 11 people who hold a car licence also hold a motorbike licence. 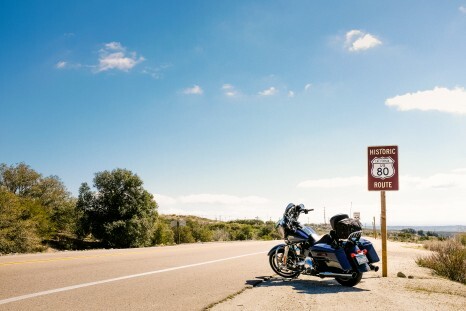 With the 1.3 million travellers to the USA, approximately half are choosing to self-drive, which means roughly 65,000 are licenced to ride a motorbike. With an all-inclusive price at circa AU$290 per day for a classic Harley Davidson this will be an easy sell for travel agents. If you are looking for more information, visit www.driveaway.com.au/motorcycles/rentals-usa or call our self-drive specialists on 1300 363 500. With the freedom and flexibility to create your own itinerary in a self-drive tour, it is clear to see why the motorcycle is quickly becoming the vehicle of choice for adventure travellers worldwide. Hooray! It’s another one of our delicious road and rail wraps! Although that’s not to say this article is edible or anything. This is our longest road and rail wrap yet! We wish we could say that about the number of days in a row we’ve managed to avoid going to the pub at lunch, but that’s still on zero.